I’m a big proponent of making IRA’s part of your estate plan. They have many attributes a person can utilize when planning for the inevitable. One is the ability to name a beneficiary when the account is first set up, thus eliminating the need for a will, trust or (no offense to legal eagles) attorney. When the IRA owner dies the account passes to the beneficiary outside of probate – no fuss no muss – and it gets even better because that beneficiary can continue enjoying the tax advantages provided by the account! #1. Since they don’t require minimum distributions, someone can leave an entire nest egg to a beneficiary rather than having to withdraw a portion every year in retirement. #2. If they continue earning income, they can even continue contributing more money into the Roth for as long as they live. #3. And since these assets grow tax-FREE, the heir gets the biggest future tax advantage possible. However, even regular IRAs give an heir the ability to keep most of their inherited assets growing in a tax-deferred way for quite some time into the future. If you inherit an IRA, your first option is withdrawing all the money by December 31st of the fifth year after the original account owner’s death. I have no doubt that this is what most people would choose to do. In fact, they probably wouldn’t even bother to stretch the process out over the five years, opting instead to take ALL the money right away. That’s a big mistake though. Not just because of the possible tax consequences, but also because of the missed opportunity to keep the money growing as efficiently as possible for as long as possible. The second option is choosing to withdraw a small portion of the money every year going forward … at a rate determined by THE HEIR’s life expectancy. 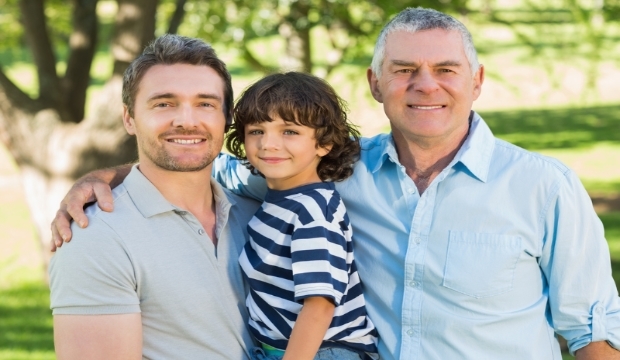 Say a father leaves a Roth IRA to his son who is 53 at the time of the father’s death. If the son decides to take minimum distributions, the IRS will use its actuarial tables (available in IRS pub. 590) to figure out roughly how long the son is likely to live. Then the IRS will divide the value of the Roth IRA account by that number (31.4 in 2014) to arrive at a dollar amount for yearly distribution. In the case of a $100,000 portfolio, the son would have to withdraw $3,289 in 2015 ($100,000/30.4). And so on and so forth in every subsequent year until the account has been completely drained. Of course, the value of this inherited account can continue to rise along the way. And depending on how it’s invested, it may continue growing FASTER than the required distributions can deplete it. And again, if it’s a Roth IRA, none of the distributions will even be subject to income taxes! So if you happen to have a sizeable IRA, please choose your heir wisely and consider having an honest discussion about the various withdrawal options now. And if you’re likely to inherit a sizeable IRA, definitely consider the merits of investing wisely and taking minimum distributions instead of withdrawing all the money right away. Tell Us What You Think – Have You Considered an IRA as part of your Estate Plan?